Copenhell will take place in Copenhagen, Denmark on June 11-13, 2014. 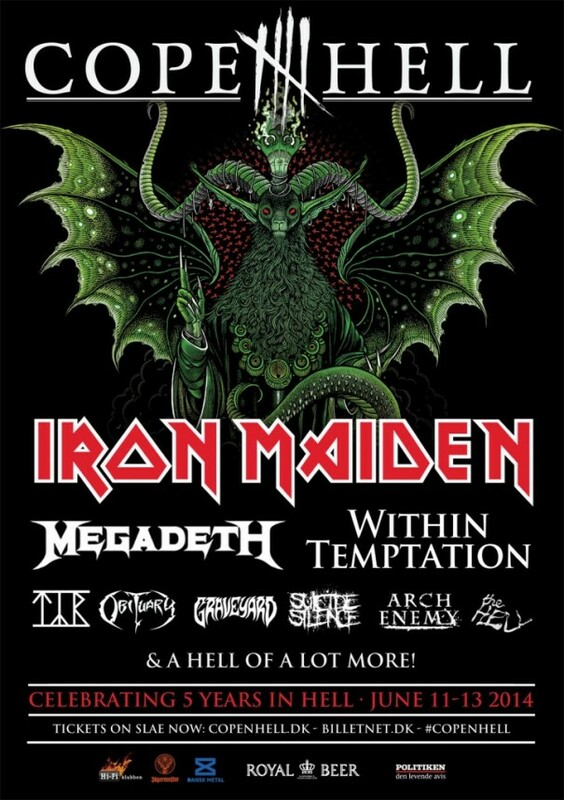 Iron Maiden, Megadeth and Within Temptation are among the bands that will perform at the Copenhell 2014 festival. Copenhell 2014 Tickets cost 1095.00 DKK.